NOW THAT they’ve been caught with their pants down yet again, the Democratic Party of Japan is proposing to further trash Article 21 by banning corporate political contributions altogether. That this is a pointless exercise is demonstrated by Prime Minister Hatoyama Yukio’s own fund-raising strategies. His entire political career has been bankrolled by an individual–his fabulously wealthy mother. He was also probably the one—notwithstanding his shifting of the blame and the legal responsibility to his aides—who managed to disguise, until recently, the source of those funds. What’s the next bright idea? Banning contributions from dead people? The reaction of the country’s political class to the funding scandals of the 1990s was to raid the public till to bankroll the parties, defined as groups with five seats in the Diet. The amount of funding corresponds to the number of seats each party holds. Putting aside the problems of numerically defining a political party and the serious obstacles this erects to the growth of new parties—which just by coincidence solidifies the dominant position of the big boys and other incumbents—this is also a clear violation of the right to free speech. That right is not limited to allowing the expression of unpopular ideas. It also includes preventing the government from forcing people to dress alike, march to a nearby stadium, and sing hymns written by the Propaganda Ministry to the Dear Leader, if they happen to think the Dear Leader and everything he stands for is the political equivalent of leprosy. In other words, free speech also includes the right to remain silent. But the proposed political funding law means that Japanese taxpayers (including me) are forced to subsidize, and thereby promote, the speech of people and ideas they dislike. This isn’t just a personal issue. Of course I abhor the idea that the government is rifling through my wallet to take the money I earned through honest labor to pay for the political activities of people like Social Democrat Fukushima Mizuho. But it also means that the government picks the pocket of teachers’ union apparatchiks to facilitate the political speech of those who think teachers should be required to sing the national anthem at school assemblies. Forcing everyone to equally support everyone else doesn’t make it fair; it just means that everyone’s right to free speech is equally violated. (The) Nanny (state) audits political spending through an immense bureaucracy, which has the effect of reversing power relations between the “wise” political parties and those crazy voters. Is this the argument for campaign spending controls? I think it is the real argument, but it is not the argument commonly offered. The “official” argument is that, sans Big Nanny, those big corporate interests on Bay Street or wherever would “buy” the elections. This premise, in turn, is even more insulting to the electorate. It holds that we can be bought, as easily as politicians. The insult is also quite unfair. Canadians, as all other electors, have a human tendency to resent obvious attempts to buy them, and to express that resentment through the secret ballot. (T)he chief (ramification) is that the decision attacks the contemporary lobbying system. In effect, those advancing special interests are condemned to lobbying the entire electorate, instead of just lobbying the politicians behind closed doors. This directly undermines the political class. It goes to the heart of their ability to broker deals not in the public interest, and pass them into law without public debate. Translated into Japanese, of course the connections between large construction companies and the likes of DPJ Secretary-General Ozawa Ichiro are squalid and detestable. The solution, however, is not to prevent the companies from contributing to his campaign war chest. Rather, force the disclosure of any and all contributions of big business, big labor, and big religion to the politicians and let the electorate draw its own conclusions. If you think the electorate is incapable of drawing its own conclusions, take another look at the polling trends for the DPJ-led government since it assumed office. There are also dozens of similar examples in recent years at the sub-national level. It is an attitude profoundly antithetical to liberty. Take the shackles off, free free speech, and let the chips fall where they may. I trust the people to make the right decision more often than not. He was defending Ozawa Ichiro. IS THE JAPANESE MASS MEDIA being manipulated by Tokyo prosecutors to turn public opinion against DPJ Secretary-General Ozawa Ichiro in the latest installment of his political fund scandals? That’s what some members of the media suspect, and a large Amen Corner of Ozawa supporters is backing them up in the Japanese blogosphere. The 5 February issue of the weekly Shukan Asahi that hit the newsstands this week threw some more red meat into the cage. The magazine claims someone in the prosecutors’ office is feeding them leaks to make things look bad for Mr. Ozawa, and they slam the prosecutors for their conduct of the investigation. Here’s an excerpt. Another reason cited for the prosecution’s full-court press is that the ambitious Mr. Otsuru is trying to recover from a previous setback. He was the lead prosecutor in a collusion case involving construction companies and politicians in Fukushima. Though local prosecutors were not anxious to pursue the matter, he is said to have brushed aside opposition because he wanted to further his career. They eventually arrested and tried Gov. Sato Eisaku, who was found guilty, sentenced to three years in jail, and given a five-year stay of execution. Last September, the appeals court reduced that to a two-year sentence with a four-year stay of execution, though the court found that the governor received no money in bribes. Mr. Sato claims the prosecutors created the case out of whole cloth by the prosecutors. Some hold that Mr. Otsuru—who also led the prosecution team that put young Internet entrepreneur and media sensation Horie Takafumi in prison—is trying to nail Mr. Ozawa to restore his reputation. Other, more outré conspiracy theories abound. Some claim that Mr. Ozawa is being targeted by Wall Street capitalists and the CIA working with certain LDP factions, the Kasumigaseki bureaucracy, and the big Japanese advertising agencies (i.e., television sponsors). Here’s the most entertaining theory of all: Arrayed on one side is the Rothschild Freemasons of Europe (of which Mr. Ozawa is supposedly a member), the Chinese government, and the Ozawa-led DPJ, who are squared off against the Tokyo prosecutors, a “certain large religious group” (read: Soka Gakkai, whose political arm is New Komeito, whom Mr. Ozawa is trying to crush), the American embassy in Japan working with the CIA, and the Rockefeller-backed Freemasons of the United States. The American Freemasons are supposedly upset because the DPJ is trying to worm its way out of the agreement to move the Futenma air base to another location. One part of this theory holds that Mr. Ozawa has convinced Chinese President Hu Jintao to agree to force North Korea to release the remaining Japanese abductees in North Korea this summer just before the July upper house election. That, goes the story, has enraged the Americans because it will allow the Chinese to maintain the upper hand in dealing with the North Koreans. This yarn has faint echoes of the case against Mr. Ozawa’s mentor as a political boss, Tanaka Kakuei. His daughter Makiko, Prime Minister Koizumi’s first foreign minister, suspected the CIA of being behind the plot to bring down her father—an advocate of closer relations with China. Those inclined to look for leaks, conspiracies and the print media’s involvement might have a point considering the rash of stories over the past two months describing Mr. Ozawa as a dictatorial, iron-fisted, anti-democrat who brooks no opposition inside the DPJ. They’re believable, seem well sourced, and have turned public opinion against Mr. Ozawa and the DPJ. There are now more people who do not support the Cabinet than do, a sharp reversal in just four months. Be that as it may, Mr. Ozawa is not helping his own cause. He is a very unlikely Sir Galahad. His political fund management committee has extensive real estate holdings, which have been a source of suspicion for years. He hasn’t come up with plausible cover stories for the funding of the questionable real estate deal for which his aide was arrested, either. He’s told four different tales over the past year or so, and his most recent is that the money came from his father’s estate. Yesterday, however, a 27-year-old newspaper article surfaced in which Mr. Ozawa said that he received no money from his father’s estate. When he finally did agree to talk to the prosecutors earlier this month, the conversation lasted four and a half hours in a Tokyo hotel room. He also reportedly spent several hours before the interview mulling over his strategy with his attorneys in a different room of the same hotel. That doesn’t sound as if the facts behind the real estate deal in question and the money that paid for it are so cut and dried. We’ll make a decision (on Mr. Ozawa) when the matter is resolved taking public opinion trends into account. I support his continuation in his post for now. That wouldn’t be possible for an ordinary Diet member, and I don’t think (an ordinary Diet member) would do it. I think the people view that (in the same way). (Fund management groups) shouldn’t use political funds to buy real estate. Generally speaking, politicians and groups about whom there are suspicions must make a sincere effort to clear up those suspicions in the Diet. I do not think the people want to return (government) to the LDP. The most important issue before us is achieving a stable government in the July upper house election. After some facts emerge (about Mr. Ozawa), we will make a judgment in accordance with that issue. It is theoretically possible that Mr. Ozawa is going to be vindicated, but that will take some time to play out. In the meantime, staying on as DPJ Secretary-General could seriously harm the party’s chances of achieving a majority in this summer’s upper house election. If the party disassociates itself from Mr. Ozawa, however, or if he is forced to resign his Diet seat, it’s an odds-on bet that the DPJ will not hold together for the three and a half years remaining in the lower house term. Yet it’s also unlikely the LDP as presently constituted could regain power. As Mr. Noda says, the brand has become too degraded, and the current leadership is in such a retrograde mode, the public will not be willing to hand them the reins of government anytime soon. The cement of Japanese politics is still wet. If you like conspiracy stories, you’ll love this. Rockefellers, Rothschilds, yakuza, the Imperial household, ninjas, earthquake machines–you name it, this one’s got it. In fact, this guy might be the source for the Rockefeller/Rothschild stories in the Japanese-language part of the web. As whacked out as it is, I have to admit I was intrigued by the mention of LDP pol Kato Koichi getting wads of cash in an envelope, and the claim later in the interview that the North Koreans bought off the police and the LDP government with the income they received from Japanese pachinko parlors so the authorities would overlook their amphetamine exports. IN THE CORNER, the blog at the National Review website, Jonah Goldberg quotes a Melanie Kirkpatrick review of two books about North Korea. In attempting to understand North Korea, Mr. Myers argues, outsiders almost invariably get it wrong. The country’s dominant ideology is not Communism or Stalinism or Marxist-Leninism. Nor is it Confucianism or even the regime’s governing doctrine, called Juche Thought, usually translated as “self-reliance.” The real North Korean worldview, Mr. Myers notes, is based on a belief in the unique moral superiority of the Korean race. The closest analogy is the fervent nationalist ideology that governed prewar Japan and influenced North Korea’s founding fathers. Having grown up in colonial Korea, they embraced Japan’s propaganda methods after coming to power in 1948. Kim Il Sung, the founder of the Democratic People’s Republic of Korea — the North’s full name — even had himself photographed, Hirohito-like, astride a white stallion. This doesn’t quite make sense. He says the closest analogy is the prewar Japanese ideology, but then talks about propaganda methods rather than ideology. Perhaps that’s because the propaganda methods are those of the Japanese, but the ideological strain of Joseon racial purity was already thriving long before the Japanese got there. It turns out that Mr. Myers is B. R. Myers, a professor at Dongseo University in South Korea. A foreigner in South Korea parroting the Korean Peninsula’s anti-Japanese line? Big surprise there. Mr. Myers misses out on the cigar for two reasons. 1. He failed to mention that while these tendencies exist throughout the region, the undisputed East Asian champs in this weight class have always been the Chinese. They still are. 2. He missed the part of Japanese intellectual history in which the Japanese nationalists of more than a century ago used as one of their justifications for the annexation/colonization/merger with Korea the idea that the Japanese and the Koreans were the same tribe to begin with. Ah, well. Some progress is better than none. “Almost invariably”? An ideology “governing” a country, rather than people? FORMER PRESIDENT of the Republic of China, Lee Teng-hui has always had an affinity for Japan. He enlisted as a second lieutenant in the Japanese Imperial Army during the war, helped clean up Tokyo after the March 1945 firebombing, and graduated from Kyoto University in 1946. 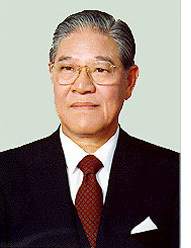 Mr. Lee was the first native Taiwanese to hold the office of president. A democratic reformer, he was reelected in that country’s first direct presidential election. He was in Japan for a week last fall during which he visited several cities and delivered an address at a symposium. In one part of that speech, he offered the Japanese some advice for their conduct of foreign affairs. The Japanese should take it to heart. Here it is in English. It seems to me that Japanese foreign policy has yet to break free from the spirit of self-flagellation and self-denial caused by the trauma that resulted from its defeat in the war. Self-reflection is very important, but when taken to extremes, it turns to self-flagellation and abjection. It is impossible to conduct a sound foreign policy in the spirit of self-flagellation and abjection. That sort of thinking will only be mocked by the rest of the world. In fact, I have yet to hear anyone utter the phrase, “A Japan that can be respected”. Unconditional submission to the United States and an abject, kowtowing policy for the People’s Republic of China—in other words, a foreign policy of pressing one’s forehead to the earth in veneration–is inappropriate for a Japan that has built the second-ranked country in the world. The other day, I used those words in a speech in which I said that relations between Taiwan and China must be based on drawing the same clear line. Considering the uncertainty that clouds China’s future, neither Japan nor Taiwan should be dazzled by the carrot that the Chinese are holding in front of our eyes. I think it is necessary to build good relations while maintaining a resolute attitude of independence that asserts, “I am I”. It seems to me that in the past, Japan’s approach to foreign relations has been to submissively accept the assertions of the other party and to be careful so as to make as few waves as possible. Unfortunately, however, no matter how much you humble yourselves, that will not be understood by foreigners. On the contrary, all of you must clearly recognize that stance will be scorned and despised. Indeed, it is now time for Japan to have a proactive and bold foreign policy based on self-driven vigor and self-reliance. A new great power is in the making, but one whose pursuit of its self-interest takes the amorality of power to a new plane. It is not just the Chinese who should be concerned about its institutional and moral failings; all of us should be. IT WAS for good reason that Ronald Reagan referred to the Soviet Union as an Evil Empire—the Soviet empire was, by any defintion, evil. The rot of moral relativism has grown more severe since then, which is perhaps the reason that fewer people are willing to reaffirm reality in the modern era. But that’s exactly why this needs to be said: China is an Evil Empire in the making, with the potential to be even worse than the Soviet Union. The Chinese do not yet have satellite states, though, like the Soviets, they have forcibly incorporated minority ethnic groups living at the borders of the dominant ethnic majority within the greater state. Unlike the Soviets, the Chinese do have the freedom to make money, but that freedom creates more problems than it solves when isolated in an immoral context. The Soviets, however, had one freedom that the Chinese of today lack—the most basic freedom to create life. Here’s yet another example of how the deprivation of that freedom continues to result in ugly deformities. (T)he Communist Government’s Chinese Academy of Social Sciences (CASS) says that the (one-child) policy has created a huge gender imbalance with significant implications for future social stability. That’s a rather bland euphemism for “serious problems today that have the potential to become horrific in the not-distant future”. We don’t have to imagine what will happen. There are already reports that the country is becoming the Wild, Wild East of lawlessness. One example: bars where young male customers pay to assault the waiters. The main concern raised by the CASS report is that 24 million men condemned to a life alone will result in a major strain on the State welfare system. That’s going to be the least of their troubles. Most people would be able to provide for themselves in a society governed by the rule of law. But that’s not China. While the number of baby girls being born has declined, the number of kidnappings and trafficking of young girls has risen. According to the National Population and Family Planning Commission…abductions and trafficking of women and girls has become “rampant”. If the Japanese government weren’t under the control of a party so anxious to kowtow to the Chinese, this might be the time for the Diet to pass a resolution condemning the Chinese comfort women. Then again, the Japanese are seldom so presumptious. Even more bizarre crimes have been reported in this patriarchal society where it is believed that a wife is necessary to tend to her husband even after death. A rising practice in some remote areas of China is to dig up the corpses of single women to sell to families whose sons may have recently perished. Posthumous wedding ceremonies are held to ensure the deceased son does not have to endure the next life alone. With higher prices commanded by fresh corpses of young women the practice has led to murders of young girls by some crime gangs looking to capitalize on distraught parents enduring the loss of a young son. The phrase Evil Empire doesn’t quite cover it, does it? By 2020 some 24 million men will start realizing that a family life is not for them – no matter how much they yearn for it. China should expect them to be just a little angry. If sober and clear-minded people in governments around the world are not already devising ways to handle a hyper-nationalistic nuclear power with more than a billion people at the mercy of the largest and nastiest fraternity house in history, there’s going to be serious trouble. Unfortunately, that still works for me. Just as unfortunately, not everyone sees it that way. Which type of article is more frequently presented in the English-language media: Stories about the absence of human rights in China, which results in the warped behavior described above, or stories about whale hunts in the South Pacific? China is not the only one that suffers from institutional and moral failings. No-gyaru is a pun based on nogyo, the Japanese word for agriculture. Who knew that it was hip to be a hayseed in Japan nowadays? Certainly not the readers of the English-language media. Itochu is a large trading company with its fingers in a bakery full of pies, including the refining and sale of Chinese rice, so Mr. Niwa has at his fingertips a cornucopia of fascinating statistics about farming in Japan. He asserted in the interview that Japanese agriculture could be internationally competitive, and the way to achieve that goal would be to maximize the use of land as an asset to produce value and to inculcate a sense of entrepreneurship among the farmers. Here are some highlights from that interview. 8.3% of Japanese farmland is not cultivated. The latter figure represents an increase of three times in 20 years, and is equal to the land area of Saitama Prefecture. The Itochu president argued that Japanese rice is not as expensive to produce as some might think. Production costs per kilogram range from JPY 344 for 0.5 hectare plots or less, to JPY 160 for 10-15 hectare plots. He says that Itochu’s costs for refining and selling Chinese rice are JPY 105 per kilogram, and don’t include export costs. Japanese rice would be price competitive, he maintains, even if all agricultural tariffs around the world were immediately removed. The key is to promote agribusiness on a large scale rather than through small farms. This would be financially beneficial for agricultural workers, too. Converted to hourly wages, the producers on larger farms make JPY 3,100, or more than salaried employees. In contrast, those on the smallest farms make JPY 300 per hour, less than convenience store workers. Mr. Niwa suggests that rice production should be concentrated in areas with broad plains, such as Hokkaido and the Tohoku region, while areas in the more mountainous western Japan, where it would be more difficult to operate larger farms, should switch to other fruits and vegetables. He says the latter farms would produce crops competitive with imports. For example, he reports that the more expensive Japanese cherries still sold well against imported American cherries due to their superior taste and freshness. Mr. Niwa laments, however, that laws on land use and agriculture haven’t changed in 50 years. The government’s policy over the past half century has been to encourage acreage reductions to prop up rice prices. He holds that this has been a complete failure from a market perspective, and he used an analogy to demonstrate the bankruptcy of the approach. It is as if, he suggested, a company responded to poor sales figures by slashing production and raising prices. He is not the first to claim that the Ministry of Agriculture has been a complete a waste of time and resources. He also mentioned the zokugiin of the Diet, the MPs allied with different ministries and who promote their interests in the legislature. The zokugiin, he says, work to maintain those policies to receive the electoral support of rice farmers in particular, who benefit financially from the higher rice prices and the subsidies for acreage reductions. The ruling Democratic Party of Japan is taking a step backwards from moves to encourage agribusiness and larger farms that were begun during the LDP administration of Abe Shinzo. The DPJ offered as part of their election platform a promise to provide subsidies to individual farm households. That, says Mr. Niwa, is a mistake. The formulation of agricultural policies should be left to local governments, based on local conditions, and focus on policies for enterprises devoted exclusively to agriculture, whether operated by an individual or by a corporation. He also suggests that local governments could form committees to lease farmland from individual farmers, aggregate it, and lease it in turn to those who want to work the land, including companies involved in agribusiness. This is already happening today, and not all those companies are purely agricultural concerns. For example, Fukuoka City-based Kyudenko, primarily engaged in providing electric power facility engineering services, announced last week it had formed an agreement with the city of Amagusa, Kumamoto Prefecture, to grow olives. The agreement starts in FY 2010 and will run for three years. The company will plant 6,700 olive trees on unused cropland in the city, and will study cultivation techniques and the potential for profitability over that three-year period. If they like what they see, they will continue to grow olives. Kyudenko says it is open to using either public land or privately owned land. In short, applying market principles would improve Japanese food production, make it a competitive enterprise, and solve the problems of unused land, the aging of the farming population, and the lack of successors. Key for the success of that endeavor would be to devolve authority to the local level and remove the influence of the bureaucracy and national legislator-lobbyists. 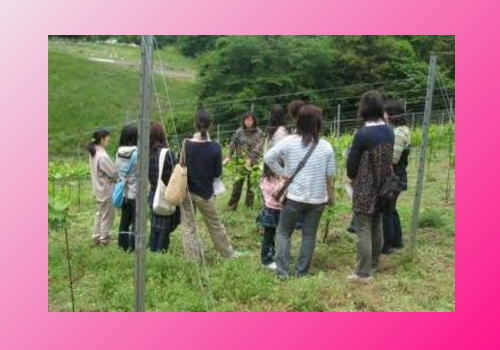 How did the media miss the chance to find out about the no-gyaru phenomenon and this discussion of domestic agricultural reform? They didn’t turn the page. This interview appeared in last September’s edition of the monthly Voice. It was the same issue that published an article by Prime Minister Hatoyama Yukio explaining his political philosophy. It later was translated into English for the New York Times and caused a minor stir for its eccentric positions and apparent tilt away from the United States in foreign policy matters. Mr. Hatoyama’s article ended on page 141, while this one began on page 142. The quote about no-gyaru was in the first paragraph. Why should the impractical thought processes of a man destined to have the political lifespan of a firefly be of greater interest than a disussion of how a nation feeds itself? IF YOU WANT TO KNOW what’s happening in Japan, don’t go looking for the answers in the news media. Here’s yet another example, this time from CNN, which now–understandably–is the least watched of the four American cable TV news networks. How many monks? Read the story and you’ll find out they cite one who serves alcohol and one who performs sutra raps, for a total of two—the threshold needed to permit CNN’s use of the plural. To put it another way, more men bit dogs in the greater Atlanta area last year. Suddenly, the number “two” has now taken on the meaning of a “group”. Kansho Tagai…a Buddhist monk, believes it’s time to change for the future and doesn’t mind if it means dropping the chants and bringing on the rap music. Tagai also prefers to go by his street name — Mr. Happiness. 1. What will you do when rap music loses its image of hipness and becomes a thing of the past? It won’t be too much longer now. 2. Just what is this thing referred to as a “street name”, and how many people—if any—actually call you Mr. Happiness? All of my residences in Japan during the nearly 26 years I’ve been here have been across the street from a Buddhist temple. I could throw a rock from the front yard of my house into the graveyard of a Buddhist temple across the street, were I so inclined. I could also have pitched one underhand into the entrance of another temple from the front steps of my previous apartment. The only people I’ve seen visiting those temples for a reason other than to attend a memorial service were there to clean and pray at the family gravesite. What CNN doesn’t tell you is that Buddhist temples are even more neighborhood-based than churches in the U.S., and that temples sometimes close for reasons other than a lack of religious faith. Temples in rural areas that have lost population to the cities are not going to survive. Neither are some temples in urban areas that have become primarily business or commercial districts. Nevertheless, there were roughly 76,000 Buddhist temples of all sects in Japan as of last year to serve a population of 127 million. Meanwhile, there were roughly 68,000 Christian churches of all denominations in the United States three years ago to serve a population of more than 300 million. Of Japan’s 127 million people, 96 million identify as Buddhist. Those numbers, however, don’t translate into regular traditional religious practices, and haven’t for some time. One of the Five Moral Precepts of traditional Buddhism was the prohibition of intoxicants, so Mr. Fujioka’s conception of what Buddhism was intended to be may not be the consensus opinion. It might instead be just a clever way for Mr. Fujioka to indulge his favorite recreational pastime. I was once shown a very small, exclusive drinking establishment set back from the other shops on a narrow side street. My guide told me the prices were so high only doctors and Buddhist priests could afford to drink there. Zero doubled is still zero, though Mr. Tagai likely gets a few more visitors, if only out of curiosity to see a rapping monk once or twice. Really, this is past the point of absurdity. The network is wasting its enormous resources to generate for its dwindling number of viewers a story that is a waste of time to watch. If anyone thinks they’re learning something about Japan by following any print or broadcast media outlet, I honestly feel sorry for them. The tragedy in today’s Wiki-age is that such vapid ignorance is the standard rather than the exception. The most puzzling aspect of these misleading news reports and websites peddling inanity instead of knowledge is why they exist at all. Discovering the truth is so easy to do. But being this stupid is difficult. People have to go out of their way and work at it. Afterwords: A Japanese woman in her mid-60s once told me that she was married in a Buddhist temple wearing a Western-style wedding dress, which is an unlikely combination even for this country. I asked her how that happened, and the other Japanese in the group were just as interested in her answer as I was. Unfortunately, she just laughed and said it was a long story. I’ll bet! 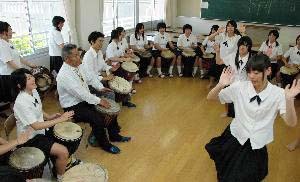 Though Japan is one of the countries of the Confucian cultural sphere, its native psychological temperament and social systems differ greatly from those of the Korean Peninsula and China. One of those differences is the strong Japanese awareness of belonging to an organization. The sense of loyalty to organizations and groups is stronger in Japan, while the tendency on the Korean Peninsula and China is to favor independence. People there will move to competing organizations and groups if the conditions are favorable. Of the Confucian virtues of loyalty and filial piety, loyalty is given greater emphasis in Japan. The respect for filial piety on the continent is related to an emphasis on the blood relationship between father and son. When deceased ancestors are celebrated in religious rites in the Confucian culture, those related by blood must conduct the services. Therefore, one objective of marriage is to produce a male heir. It was a tradition that the failure to bear sons would be considered legitimate grounds for divorce, and the wife could not complain. The reason for such practices as taking concubines and adopting children from blood relatives was to maintain the bloodline. Historically, the interests of the family rather than those of the individual are emphasized on the Korean Peninsula and China. That’s why, on the Korean Peninsula and China, castration was used as a form of criminal punishment and there was a role for court eunuchs. Such was not the case in Japan. Save for execution, castration was the most serious punishment that could have been administered. Cutting off the sexual organs and removing the ability to procreate eliminates the possibility of descendants, which also meant that honoring the spirits of one’s ancestors would no longer be possible. That was regarded as the absence of filial piety. In China, those who received this punishment would be assigned important roles in the court, but an official system for court eunuchs did not exist on the Korean Peninsula. Instead, they were put in the service of court officials or those in authority in such places as temples. The Korean system was not adopted in Japan, even though the latter was also influenced by Confucian culture. That’s because in Japan, the subordinate-superior relationship with land as an intermediary factor was considered of greater importance than a blood relationship. Private ownership of land began earlier in Japan than on the Continent, and with the appearance of the samurai class, land was bequeathed to one’s descendants. Those in superior positions allowed others the right of land ownership. That in turn led to the creation of a psychological structure in which the subordinates felt a sense of obligation and rendered their loyalty to the superior. During the Edo period (1603-1868), the daimyo granted the samurai with a heredity land stipend usually assessed in units of koku (one koku = 4.96 bushels). The standard was the amount of rice the land produced, and the stipend was based on the samurai’s rank. The samurai converted the rice to money and lived off the proceeds. The same concept survives in the corporate world today; Japanese salarymen still think of themselves as corporate warriors who owe allegiance to the company. The basic unit is now the nuclear family rather than the extended family. Koreans, in contrast, continue to compile records for the entire clan (known as jokbo), and such clans with the surname of Bak or Kim still thrive. That’s the difference between societies which emphasize blood relations and those that emphasize organized groups. He’s misreading the script–the lines that describe the behavior as intolerable are referring to him. And speaking of time, he’s the guy who couldn’t find any to show up when the prosecutors asked him to drop by and answer questions voluntarily. Besides, the timing idea works better when you consider the Diet is due to convene this week. His call to arms was echoed by upper house member Mori Yuko, a former member of Ozawa’s Liberal Party who followed him to the DPJ and wound up in his faction. On her official Japanese-language website, she describes herself—in English—as a “Fighting Mama”. She’s not just shadow boxing, either. During a Diet committee debate in 2003 over the question of sending Japan’s Self-Defense Forces to Iraq, she stood on a table and whacked in the head a guy trying to defend the committee chairman. Yes, it’s a People’s Revolt against the bureaucratic oppressors! Suzuki Muneo couldn’t resist adding his opinion, but then he never can. Recall that Mr. Suzuki, a petit baron formerly of the Liberal Democratic Party when they were in power, was arrested and did jail time for his own kickback schemes. He still holds the record for jail time by a Japanese MP. He’s since formed his own vanity party, made common cause with the DPJ, and become involved in another court battle that could send him back to jail again. He’s referring to the failed coup of 26 February 1936. That 万雷 (banrai) literally means “ten thousand claps of thunder”. At least I steal from Shakespeare; the DPJ is stealing from the stylebook of the house organs published by every dismal, dead-from-the-waist-down Democratic People’s Republic that you forgot existed. It’s a living linguistic museum. But that’s no surprise for anyone who’s read the small print of their party platform. It’s filled with similar language because it was written by the sort of people who would have loved to have been part of the ruling class for a Democratic People’s Republic of Japan. You think not? Take a look at their English-language website (link on right sidebar) and see if it doesn’t remind you stylistically of a current events summary from the North Korean news agency. The groundlings quickly noticed that the prime minister was asking a Diet member of his own party to resist the officers of the law, suggesting that the prosecutors were abusing their authority. His answer when called on it? While it’s true that Mr. Hatoyama is a rare combination of figurehead, dunderhead, and scheißkopf whom no one takes seriously as a politician, he’s still the chief executive officer of the national government. If he thinks Mr. Ozawa is right, that must mean he thinks the prosecutors are wrong, and it’s his job to do something about it. Mr. Ozawa says it’s a dark day for Japanese democracy, the Fighting Mama says it’s an all-out war between The People and The Bureaucracy, Mr. Suzuki compares it to a coup by militarists in a reference every adult immediately recognizes, and the prime minister is playing cheerleader and waving his pom-poms. If the prosecutors are behaving that badly, then isn’t it the government’s job to stop them? It’s legally possible for Justice Minister Chiba Keiko to exercise her authority and suspend the investigation altogether. There’s even a precedent: Inukai Ken did it in 1954. He was so distressed by circumstances that he resigned the next day. A former member of the Socialist Party, Ms. Chiba would be unlikely to resign over principle if she were ordered to chose to use that authority—the only principle for the left is power. Their own appeals to principle are just a weapon used to attack opponents. The possibility didn’t escape firebrand reformer Watanabe Yoshimi of Your Party. He said that Mr. Hatoyama must have resigned himself to stopping the prosecutors, and statements of that sort made it inevitable. Meanwhile, DPJ leaders have told rank-and-file party members to be careful about what they say. In other words, they’ve issued a gag order. The plebes don’t care for it at all, and they’re complaining about it off the record to the media, but in public it’s ten thousand thunderclaps of applause for Dear Leader. The vox populi does not bear good tidings for the DPJ either. The Asahi released the results of a telephone poll it took on the 16th and 17th. The Asahi’s polls always slant left, which means this is the best the DPJ can hope for. 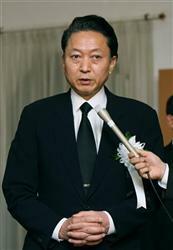 The last word should go to Watanabe Kozo, formerly a senior advisor to the DPJ. 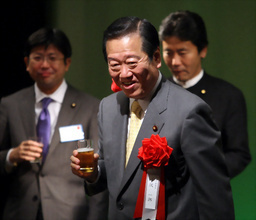 His ties with Mr. Ozawa stretch back to the days when both were friends and members of the ruling LDP. But the DPJ Secretary-General has littered the political landscape with so many former allies they could start a political party of their own. He’s referring to a body founded in 1940 as the nucleus of the “new political structure”. The nation’s political parties dissolved to become members, and their fellows included the bureaucracy and the army. It was an attempt to concentrate political power on the eve of the war that ultimately failed. Mr. Watanabe’s remark had some traction. He made it on the 14th, and by the evening of the 17th there were 37,100 Google hits in Japanese for the combination of the association’s name and the DPJ. The plot is about to become even thicker. 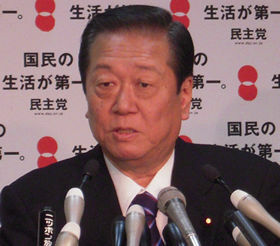 Reports surfaced in the media on the 17th on the discovery that Kaikaku Forum 21, a political organization affiliated with Mr. Ozawa, had deposited in their bank account sometime in 2004 about JPY 1.5 billion in cash they failed to report on their income and expenditure statement. As it turns out, the Liberal Party, which Mr. Ozawa headed, disbursed the same amount of money in 2002 to party Secretary-General Fujii Hirohisa, who recently resigned as Finance Minister. The funds are suspected to be from the subsidy the national government provides to the parties to prevent dirty money from corrupting politics. It’s too much to ask either Mr. Ozawa or Mr. Hatoyama to accept responsibility. That’s what they pledged to do last year when the first of Mr. Ozawa’s aides was arrested. At that time, Mr. Ozawa was party president and Mr. Hatoyama was secretary-general. Their definition of accepting responsibility was to trade jobs. Now Mr. Ozawa is secretary-general and Mr. Hatoyama is party president. Since then, two Hatoyama aides and another Ozawa aide have taken the fall. When four aides responsible for handling the money of the two top men of a party that claims to be committed to reform are taking the rap for their bosses, this play’s turned into a farce. Shakespeare’s Hamlet is a tragedy; all the leading characters die, and Hamlet himself lies dead on stage at the end. But if that’s to be the fate of these players, few in the audience will be reaching for their handkerchiefs when the curtain falls. There’ll be ten thousand thunderclaps of applause instead. THE IDEA that the governments of the region should consider forming an East Asian entity is a classic case of putting the cart before the horse. What the politicos in those countries should be doing instead is cracking open a civics book and reading about government by the people, of the people, and for the people. Let’s wait a few seconds for the laughter to subside. Sorry, I didn’t realize you weren’t finished laughing yet. That he’s not to be taken seriously is demonstrated by the stench already emanating from the country’s political infrastructure. As this article explains, University of Technology, Sydney Professor Graeme Smith has spent four years in rural China holding his nose as he followed the money. He described sniffing the trails in an article titled Political Machinations in a Rural County, published in The China Journal. “(T)he Communist Party secretary is king. He has the final say in all personnel decisions and the interpretation of central government policy. He runs the bureaucracy like a giant franchise system. The sense of entitlement by the Beijing elites is no less brazen or odiferous, as a China-sourced article in the Nishinippon Shimbun this week makes clear. The report explains that the Beijing municipal government prohibited the sale of newspapers in city subway stations starting 8 January. The city fathers said they enacted the prohibition to provide for public safety in the event of a disaster or an emergency. There are no kiosks in the Beijing subway; rather, newsies set up a one-meter-square space next to columns in the stations to peddle their papers. In contrast, there are newspaper stalls in the Shanghai and Guangdong subways. The subway riders are upset with the new prohibition because most commuters buy a paper at the station and read it while on the train. The subscription and home delivery of newspapers in China is the exception rather than the rule. The newspaper publishers are upset too, and it’s easy to see why. The municipal authorities distributed a list of dailies whose sale is now verboten on the premises, but left one off the list. That was the Beijing Yule Xinbao (娯楽新報), a free paper distributed under a contractual agreement with the city of Beijing. The Chinese government already tells people how many children they can have. Why would they stop at telling people what newspapers they can buy where, especially when they’re getting a cut of the action? Here’s the best part: The other newspapers wrote editorials attacking the policy. Hang on a minute—now it’s my turn to laugh! Toilet water, or water from the toilet? Speaking of Politburos and rank government corruption, here in Japan Democratic Party General Secretary Secretary-General Ozawa Ichiro is discovering that hubris is a concept applicable to Asian politicians, too. You’ll recall that Mr. Ozawa had to step down from the position of party president last spring after his chief aide was arrested for receiving kickbacks from construction companies. The former DPJ boss insisted at a tear-stained press conference that he was innocent, really, honest to God, and the usual political hacks lauded his three-tissue masterpiece of defiance, but they found an audience only among the terminally gullible and those with double-digit IQs. Of course his own party knew better than to believe him. It’s turning out that corruption with Mr. Ozawa resembles the layers of an onion: peel back one and the more pungent ones underneath are exposed. The man just doesn’t know how to get people to stop peeling, however. There were reports that he was so enraged at the most recent prosecutorial investigation, he would embark on a project with his party to “restructure” the Justice Ministry. He would go at it with them mano a mano. Bad idea. The prosecutors asked him to voluntarily come in and provide them information on the new revelations at his convenience. Mr. Ozawa, however, demanded they limit the scope of their investigation, and said he couldn’t stop by because he didn’t have the time. Then came a report in the February issue of the Bungei Shunju, the nation’s most prestigious current affairs monthly, about five cardboard boxes filled with “dangerous contents” that somehow got hidden during the previous investigation of his political fund-raising group’s affairs. A report also slipped out about testimony that Mr. Ozawa directly handed over a paper bag containing JPY 400 million ($US 4,372,210) in cash for a land deal. Well, somebody’s got to be the bagman, right? Now that’s inviting the punishment of the gods. Divine or not, the prosecutors decided that if Mr. Ozawa was too busy to see them, they would make the time to visit him. So a squad of investigators paid a call on his fund raising office as well as his personal office to see whether they could find any of those five cardboard boxes with dangerous contents, loose cash in paper bags, or any other items of interest. Prosecutors in Japan seldom go on fishing expeditions in these cases, by the way. They go loaded for bear, and they make a point of heading straight for the place they think they’ll find one. Had they still been in the opposition and Mr. Ozawa been of the other party, the DPJ would be screeching for his scalp like a city full of alley cats in early spring under a full moon, but they were playing Cigar Store Indian instead. The impersonation was so good people would swear they actually had wooden heads. 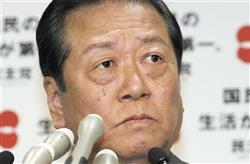 Prime Minister Hatoyama Yukio said he has no intention of asking Mr. Ozawa to step down. Of course he’s not going to ask, unless he wants to watch his party and administration disintegrate by alienating (or cutting adrift to float on their own) the DPJ MPs now sitting in the Diet seats Mr. Ozawa bought for them. It’s beginning to look as if the countdown has already started for both the prime minister and the secretary-general, but perhaps Mr. Hatoyama thought he could delay the near-inevitable by dreaming up a new amusement for the electorate. This one’s so childish he could have found it in the teacher’s manual of the neighborhood nursery school. “(W)e held a kick-off event in the morning of January 14 for the Challenge 25 Campaign, a national movement for the prevention of global warming. 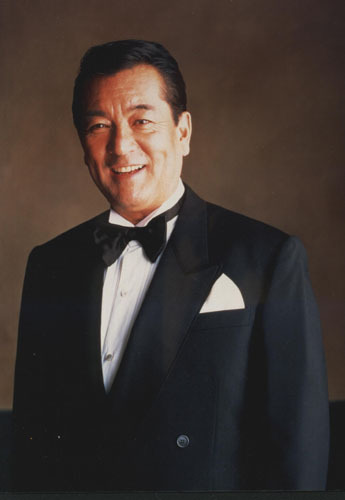 “The captain of the team of supporters for this campaign is actor and singer Mr. Yuzo Kayama. People active in their respective circles are participating as supporters of this campaign. The campaign calls for the people to take on the following six challenges. Capt. Kayama reporting for duty. Captain Kayama and his Challenge 25 Campaign? If this were a Sunday morning cartoon show, kids would roll their eyes and reach for the remote. Then again, the DPJ has been treating the voters like children since they first put together their party platform in a ring binder, so why should they change now? He doesn’t specify what “community activities” would prevent “global warming”, but then how could he, now that people are starting to realize the threat of global warming is nothing but junk science paid for with government grants? Not that Mr. Hatoyama is capable of seeing any of that for himself. At least Mr. Ozawa buys elections, politicians, and construction companies fair and square—he and his lads hit the street and run the hustle themselves. The prime minister, on the other hand, is perhaps the most gormless head of government to have held office in the past…well, I’ll start the bidding with a quarter of a century. The only reason he woke up to find himself the prime minister of Japan is because Mommy spent an estimated 5% of the Bridgestone tire fortune, by some reports, to buy him a political career and a political party. His party thanked him by electing him to serve as the Hello Kitty prime minister for the first few months of this Frankenstein’s monster of a reform government instead of giving him a gold watch and telling him to get lost. Now they’re going to have to do that anyway, soon rather than late. There were reports this week that China likely overtook Germany in 2009 as the world’s leading exporter. Japan, of course, has long been known as an exporting nation. Exports and imports are transactions between people, rather than between governments, even though public discussions are seldom conducted on that premise. Considering the state of their respective governments, perhaps it’s time for the people of Japan and China to consider importing a concept rather than goods or services. Applying the principle of the Tea Party movement started this year by Americans fed up after a few months of rule by Mr. Obama and Democratic congressional leadership would go a lot farther toward improving their lot than new passenger aircraft or beef imports. They might keep jasmine tea in mind. It’s not to everyone’s taste, but at least it has a pleasant fragrance. HEARING OR READING the phrase “naked festival” might generate a response that is positively Pavlovian—just as the Russian doctor’s dogs started salivating at the sound of the dinner bell, the shaggy among us would surely begin drooling in the realm of their imaginations. Even the prudish or the bashful might detect an involuntary acceleration in their pulse rates. The Japanese hold naked festivals, or hadaka matsuri, throughout the archipelago year round, but few, if any, would appeal to anyone’s prurient interest. To begin with, most of the festivals are for male participants who aren’t in the buff, but wear loincloths similar to those of sumo rikishi when doing battle in the ring. Further, many of those festivals are conducted in mid-winter as a trial of the participants’ grit and spirit to overcome the elements. Finally, they often resemble sporting events, in which teams or individuals compete for the possession of an object, sometimes being drenched with cold water by onlookers. And yes, those who overcome and prevail are believed to have done so with the help divine assistance. 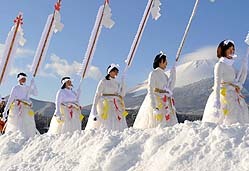 The Hirakasa Hadaka Mairi, more accurately a naked pilgrimage than a festival, is held on 8 January in Hachimantai, Iwate. It’s considered unusual because most of the participants are female, but neither the lecherous nor those with an exquisitely fine sense of curvilinear beauty would have been aroused. That’s because the intangible cultural property of the city is known as one of the few festivals conducted as an exercise in religious asceticism for women. The participants dress in white from head to toe and hold pieces of paper called kuchigami in the mouth to prevent the entry of evil spirits. That would seem to be enough to stymie any would-be Lotharios from jump street. This year, 28 people took part in the event held in supplication for household safety and a good harvest, and 15 of them were women. They started by dumping water over themselves for purification, and considering that recent air temperatures can be calculated on the fingers of one hand, I sure hope they got good and spiritual. After several religious rites at the Miyata Shinto shrine were finished at 9:00 a.m., they departed on a 10-kilometer walk to the Yasaka Shinto shrine. During their trek, they carried long poles called kenzao and rang small bells. The relatively light clothing worn by the women is one of the reasons this is considered an ascetic ritual. Iwate is in the northern part of the country, and the temperature is usually about 2.5° C in early January. This year it was minus 9.6° C on festival day. The festival is said to have originated shortly after 1710 to pray for the safety of the local inhabitants after the eruption of Mt. Iwate. Women became the primary participants during the Pacific War, when most of the men were away, and they continued the event to pray for the safety of the soldiers at the front. If I met the winter walkers, I’d take my hat off to them for their determination and wish them well—but not if I were outdoors. Heck, I live in relatively balmy Kyushu, and even here at this time of year I wear long underwear and two layers of socks indoors. THE SITUATION in North Korea must be deteriorating. Kim Jung-il has been reduced to telling the truth. By the president, he means his father, Kim Il-sung. You know how dictators in some countries appoint themselves presidents for life? In North Korea, Kim Il-sung has just been appointed president for eternity. There were no reports of his reaction to the news, if any. To speak so clearly about the situation, experts suggest Kim Jong Il must have judged that people’s complaints about his rule have grown almost uncontrollable. Well, it’s either that or he’s worried about assassination attempts. In still more news, Kim Jong-eun’s position as his father’s eventual successor was seemingly solidified by the designation of his 8 January birthday as a public holiday. The workers receive three days off for his father’s and grandfather’s birthdays. Many happy returns. Bonnie Prince Kim may yet become Kim III, but I hope he understands that he should enjoy it while it lasts.